The Hens are here!! Our favorite Stoddert garden visitors are back to supplement the fall science/garden curriculum, and we need your help caring for them on the weekends. If you would like to volunteer, please sign up here. Thank you!! 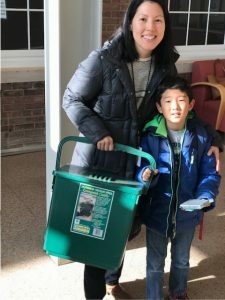 As a reminder, Stoddert’s garden has composting bins that parents can pick up as needed. More information about composting here. Also, be sure to check out Mr. Canada’s most recent garden update.